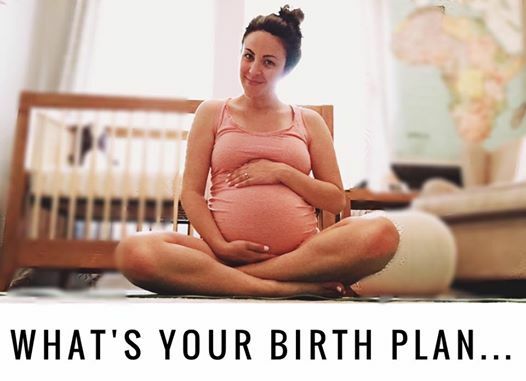 WHAT IS YOUR BIRTH PLAN?!?!? MINE: To have a baby. I learned very quickly that there is a lot of shame that women can feel through this topic of this somewhat trendy word "birth plan". ✖️If you are going ALL NATURAL without any medication to have your baby then your a crazy person who must really want to enjoy pain and think your better than everyone else. ✖️If you choose to do any medication (like an epidural #gasp) you are this crazy monster who is pumping the human life inside of you with drugs. ✖️If you have a c-section. Well you might as well turn in your women card because that's just too bad for you. Maybe next time you can try again. The deal is that we can have preferences of how WE want birth (or anything) to go but doesn't mean it's going to go that way. Like not in the slightest. ✖️The mother who wanted to go all natural may not be prepared to handle the pain. ✖️The mother who wanted the epidural might not have gotten to the hospital in time. ✖️The mother who had a different plan than a c-section might have to make that decision based on her child's safety. I know God is in control of that situation and well his plan is way better than mine. So yeah of course I have a preferences but I ain't holding too tightly to those because well ultimately I can't predict what will happen. All I know is I vow to not shame any women for their choices in the way they choose to birth their baby because well I have felt it myself and ummm no thank you. What an awful feeling. I have never even done this and my confidence was shot down in an instant. Obviously not everyone has shamed someone or whatever but this is just what I have seen happen to me and so many women I know based on their choices and/or not their choices on how birth has gone for them.